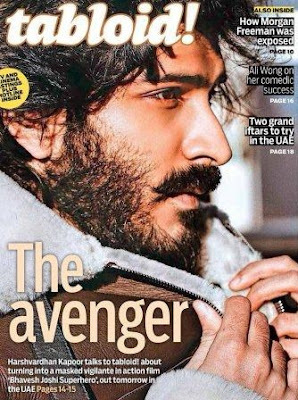 From Warrior from ancient times to urban vigilante, actor #HarshvardhanKapoor is definitely Indian version of #TheAvengers. Check out the dapper and cool new magazine cover featuring the talented actor Harshvardhan for the entire month of July. The actor has already immersed himself into the project- a biopic on Indian Olympic gold medalist Abhinav Bindra. Directed by Kannan Iyer, the film is reportedly being adapted from Bindra's autobiography, ‘A Shot at History: My Obsessive Journey to Olympic Gold’.